Here are the slides for one of my presentations in Irbid, Jordan, during the AUSACE conference. Some examples of audio, video and print journalism to start the semester’s discussion while serving as visiting assistant professor at Berry College in Rome, Ga.
Students: For more information, go to my students page. Good advice for today’s journalists and the ones learning the trade in college. Slides above from my presentation tomorrow at AEJMC conference in Montreal. This article offers a historical examination of the journalistic norms surrounding the practice of citing anonymous sources. The author examines a variety of textbooks, guidebooks, trade press coverage, and codes of ethics over the past century. The analysis reveals that unnamed attribution, once scorned as a journalistic practice, has gained acceptance over time. After scandals revolving around unnamed sourcing from the 1980s to the 2000s, journalistic norms surrounding their use crystalized in the late 2000s. This analysis also finds that journalism textbooks more often describe common practices of journalists rather than provide normative statements as to how journalists should act. The analysis also reveals that, in guidelines and texts, the journalistic tradition of independently verifying information from unnamed sources diminished over time. The article represents the last of three works derived from my dissertation. The other two are “Use of unnamed sources drops from peaks in 60s and 70s” in Newspaper Research Journal and “Unnamed Sources: A Utilitarian Exploration of their Justification and Guidelines for Limited Use” in the Journal of Mass Media Ethics. Have one more article that will be published soon — it’s on limits to press freedoms in the Middle East. In other news, I’ll be joining the faculty at Berry College as a visiting assistant professor this August. Looking forward to teaching full-time again. Margaret Sullivan — who works for the New York Times newspaper as its paid critic — certainly knows how to do her job. Browsing through her archive shows prolific, insightful, on-target analyses of the paper’s foibles. Mr. Kinsley’s central argument ignores important tenets of American governance. There clearly is a special role for the press in America’s democracy; the Founders explicitly intended the press to be a crucial check on the power of the federal government, and the United States courts have consistently backed up that role. It’s wrong to deny that role, and editors should not have allowed such a denial to stand. Mr. Kinsley’s argument is particularly strange to see advanced in the paper that heroically published the Pentagon Papers, and many of the Snowden revelations as well. What if his views were taken to their logical conclusion? Picture Daniel Ellsberg and perhaps the Times reporter Neil Sheehan in jail; and think of all that Americans would still be in the dark about — from the C.I.A.’s black sites to the abuses of the Vietnam War to the conditions at the Walter Reed Army Medical Center to the widespread spying on ordinary Americans. Well said. I hope Sullivan hangs out at the Times for a while. My latest class video features my Media Law class from spring 2014 at Kennesaw State University. Here are the slides for tonight’s media law class entitled: “Law, Ethics, and Social Media: A Primer on Copyright Law, Fair Use, and Defamation in a Digital World.” Updated with some recent rulings. The readings address the nature of the free press in the United States and globally. I’ve updated them slightly since last semester. Here are some questions on the readings. Bring the answers to class on Thursday. Watch: Hamza Yusuf discussing free speech and the right to offend in aftermath of “Innocense of Muslims.” He references the attack on the Benghazi embassy in Libya, which occurred at the same time. Read: Amartya Sen talking about press freedom and civil society. Sen is a Nobel Prize-winning academic. Questions to answer before coming to class. Put the answers on paper so you can turn them in. What are the five areas where Arab media laws differ most with international norms? How should the US change its approach to free speech? How should the Arab world change its approach? Put the answers on paper so you can turn them in. Final Exam (6 p.m.): Here’s the study guide. Here’s a link to my article in Al Monitor on a proposed change to the cybercrime law in Qatar. Al Monitor, by the way, just won the International Press Institute’s Free Media Pioneer Award. The publication has provided some great reporting on the Middle East for the past couple of years. They’ve also just launched the “Gulf Pulse,” which will focus on the Arabian Gulf countries, including semi-regular reports from this correspondent. A newspaper in Qatar, the Qatar Peninsula, expressed a similar sentiment. An article entitled “The Crippled Four Estate” detailed the unpleasant experience of receiving a criminal defamation complaint and visit from the police. “The entire process is so harrowing and humiliating for a journalist that he chickens out when it comes to writing critically on issues,” the article stated. Perhaps tellingly, the article no longer appears on the newspaper’s website. GCC countries regularly receive poor marks from international press freedom organizations such as Freedom House and Reporters Without Borders. Until the press laws and other regulations in these countries are amended, these states will continue to find themselves at the bottom of the rankings. In some GCC countries, this is perhaps precisely what the leadership intends. … Yes, Virginia, there is a Santa Claus. He exists as certainly as love and generosity and devotion exist, and you know that they abound and give to your life its highest beauty and joy. Alas! 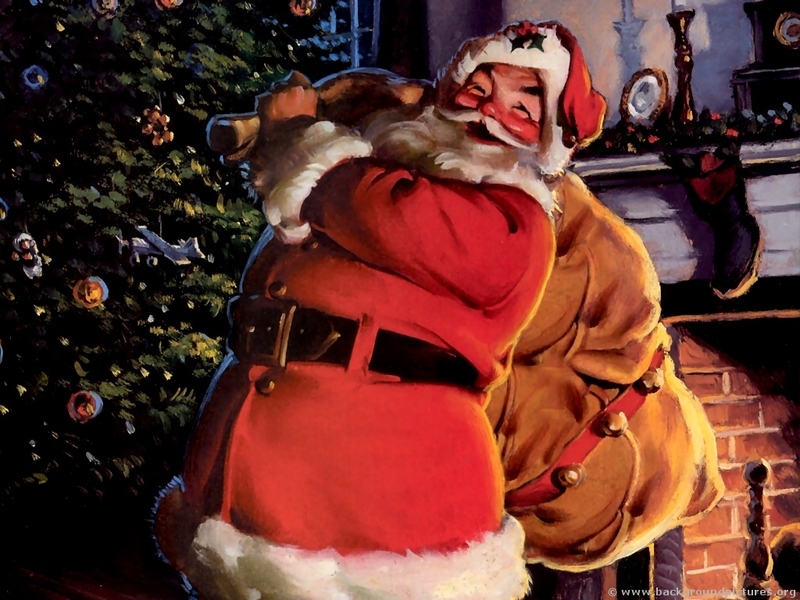 how dreary would be the world if there were no Santa Claus! It would be as dreary as if there were no Virginias. There would be no childlike faith then, no poetry, no romance to make tolerable this existence. We should have no enjoyment, except in sense and sight. The eternal light with which childhood fills the world would be extinguished. Does the US press side too much with the government? Defend your answer. Here are some questions on the readings. Video: Hamza Yusuf discussing free speech and the right to offend. How does Yusuf’s talk compare/contrast with the readings? Questions to answer before coming to class. How does Shirky’s talk relate to the reading on Arab media laws? How does US approach to terrorism speech compare/contrast with Arab media laws? Click here for the final exam study guide. These are my slides from the AUSACE conference I’m attending in Tangier, Morocco. It’s a summary of my Jadiliyya article on the subject. A few tweets about the news that Abdalla al Hadid has served his sentence for tweeting updates about the sedition trial in the United Arab Emirates. Note that @AbdallaAlhadidi tweeted trial coverage while international media barred. Only other coverage was from censored #UAE media. With @AbdallaAlhadidi‘s arrest, #UAE gov’t made clear that only information on #UAE94 sedition trial should come from “approved” sources. Tangier, Morocco — Three journalism professors will offer tips on integrating “Social Media in the Newsroom” during a three-hour workshop in Tangier, Morocco on Nov. 14. The presentation will focus on real-world applications and demonstrate how the top media outlets are incorporating relevant social media features. Examples will include Tumblr, Twitter, Facebook, Pinterest, and lesser-known social media tools such as Ushahidi crowd-sourced maps. Steffans will be presenting the workshop along with Kim Fox of the American University of Cairo and Matt Duffy of Kennesaw State University. The workshop will serve both practicing news media professionals and university professors interested in keeping up with the latest social media usage. The event will be free to AUSACE conference participants or just 75 Moroccon Dirhams (roughly 9 US dollars) for others. To enroll, send an email to mattjduffy@gmail.com. AUSACE, the Arab-U.S. Association for Communication Educators, is an academic group dedicated to improving journalism instruction in the Middle East and in the United States. This article examines the “cultures of journalism” at two newspapers in the United Arab Emirates, the Arabic-language Al Ittihad and English-language The National. Founded in 2008, the latter newspaper promised to bring Western-style journalism to the Middle East, so the analysis helps to examine whether it reached this goal. The author and an Arab-language researcher used a “frame analysis” to examine a sample month of coverage (April 2011) during the “Arab Spring.” The researchers looked for examples of four main concepts based on Kovach and Rosenthiel’s Principles of Journalism: Verification and commitment to truth-telling, holding those in power accountable, providing a space for public criticism and compromise, and comprehensive and proportional reporting. The analysis found that the English-language paper covered the news according to those principles far more than the Arabic-language outlet. But The National deviated from these principles when covering “sensitive” subjects such as actions taken by the nation’s security forces. The author concludes with questions about how the different approaches of the English and Arab press may affect the audience’s culture.